Today’s Better Lettering Course November Instagram challenge prompt was: a quote, poem, or song and the overall theme is lettering gratitude. I am a lover of quotes, but I use them a lot in my lettering practice, so I thought I’d run with song lyrics today. 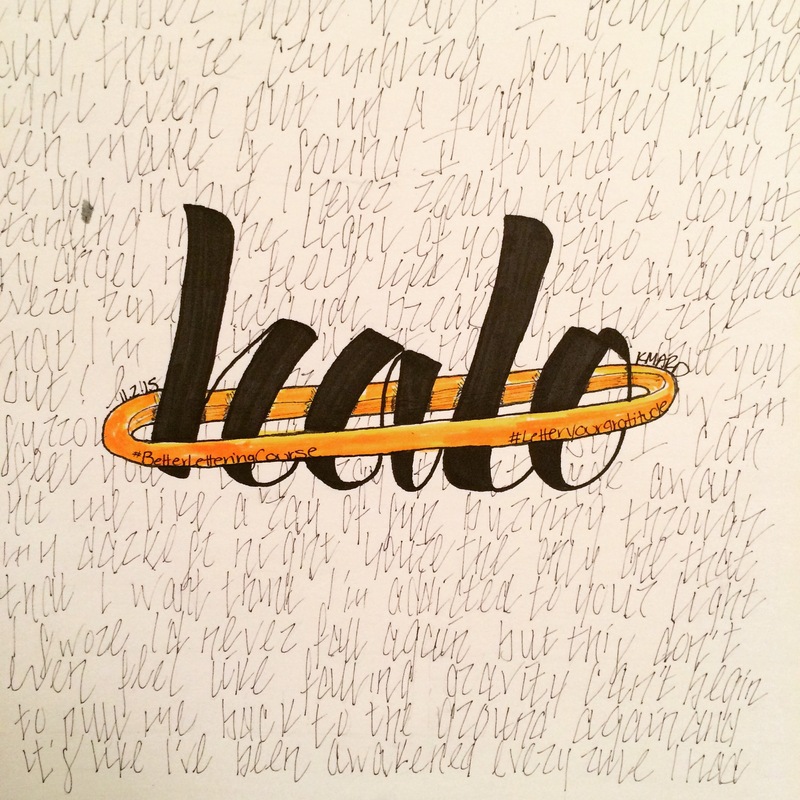 Halo is the song I surprised my husband with at our wedding and it still has special meaning to us both. I went with Crayola super tips for the halo, Faber Castel S for the outlines, Prismacolor PM-98 for the downstrokes, and a Prismacolor 005 Fine Line Market for the lyrics. Interested in playing along? Check out on the Letter Your Gratitude challenge on Made Vibrant.